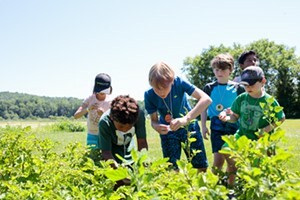 Adventures of a Lifetime | Features | Kids VT - small people, big ideas! I spent my infancy and toddlerhood near Clark Air Base in the Philippines while my surgeon father tended to wounded Vietnam War soldiers. When I returned to the United States at age 2, I was too young to experience culture shock. My mother recalls a single side effect of our trans-Pacific crossing: For a week afterward I had sea legs, which gave the vague impression that I was a tipsy toddler. I grew up to be a serial expat, and a less wobbly one at that. In my twenties, I lived in Kenya, Korea and England — and traveled to nearly every country in between. 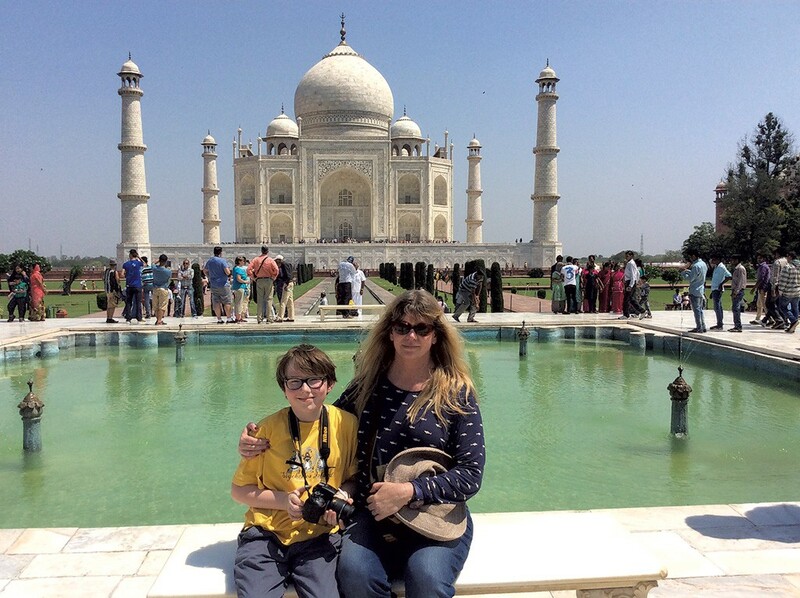 When my son, David, was born in 2004, I swore I'd give him similar mind-expanding experiences. My husband, Allan, is also an itinerant wanderer, and he helped me make good on that promise. In 2010, we spent six months in Singapore, where David attended kindergarten and learned some Mandarin. 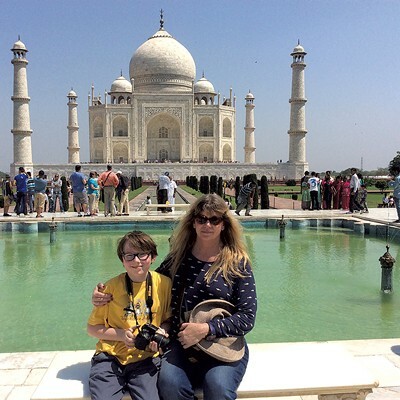 We devoted 2014-2015 to Abu Dhabi, where David successfully navigated Arab culture — and fifth grade at the American International School. We endured a lot of stomachaches in strange bathrooms and took some flak for being Americans overseas. In Abu Dhabi, a Jordanian boy who'd heard bad things about Uncle Sam's foreign policies punched David in the face on the school bus. Yet being in our discomfort zone also came with remarkable fringe benefits. Not only does David have friends around the world, he's learned a thing or two about the round sphere on which we all reside. 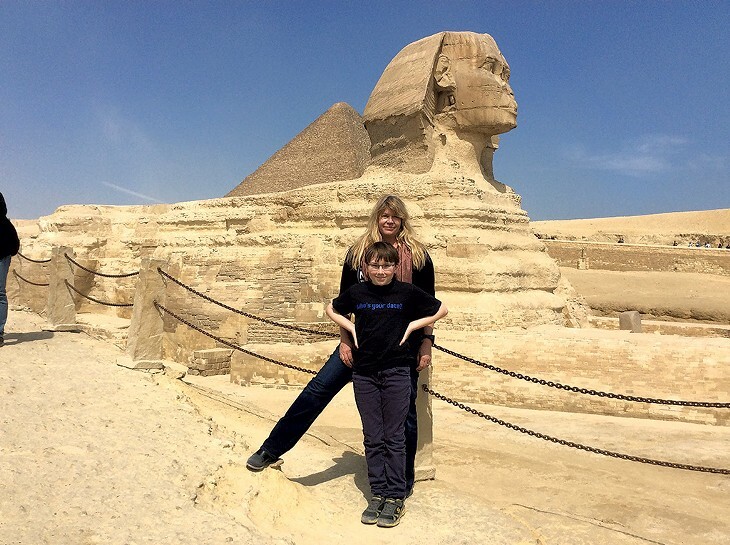 Visiting places like Petra, the pyramids and Angkor Wat offered valuable history and geography lessons for our whole family. But perhaps far more important were the life lessons that came with knowing people like Abdulrahman Asfari, a Syrian boy who came to David's 11th birthday party in Abu Dhabi. Learning about what he and other Syrians endured to relocate to the United Arab Emirates made our transition to the country look like a walk in the park. As far as I'm concerned, the places we've been are less remarkable than the people we've met and the relationships we've developed abroad. Moving to another country — rather than vacationing in one — offers an opportunity to get to know the locals and see the world through their eyes. And I always want to see more, despite the challenges that come with relocation. 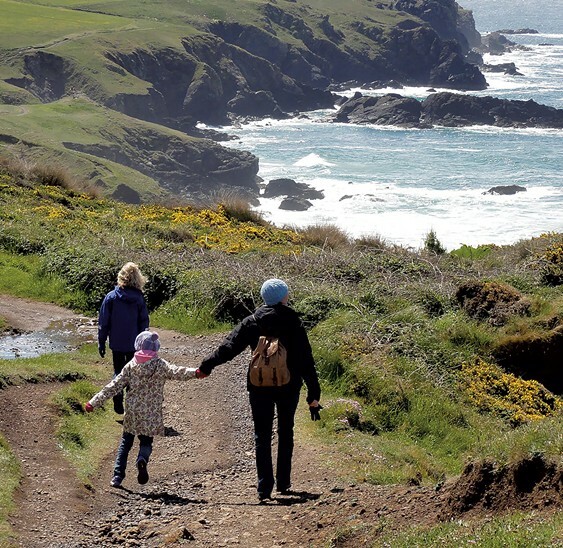 Living overseas with kids requires equal parts planning and flexibility. Guidebooks and Pepto-Bismol will get you only so far — ultimately, you're making a giant leap of faith. I spoke with three other Vermont families who've lived abroad, and they all agreed that the experience opened up a new world for their children. Often the opportunity to live abroad is connected to one parent's job. My husband's work as a film professor at New York University took us to their Tisch Asia program in Singapore in 2010 and Abu Dhabi's New York Film Academy for 2014-2015. Allan hedged a bit before taking the assignments, but I leapt at both opportunities despite the distance to Singapore and turmoil in the region around Abu Dhabi. In the UAE, I found work in the communications office of Khalifa University, a government-owned engineering school. Burlington dad Andy Barker had the opportunity to cover a colleague's eight-month maternity leave at Ben & Jerry's European headquarters in 2013. His wife, Ana Ruesink, says they "jumped at the chance to take our family abroad." 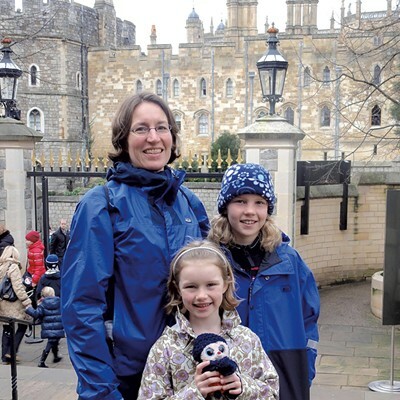 They relocated their two daughters, Emma and Tess, then 10 and 7, respectively, to "a little brick Victorian row house just a short stroll down the hill from the queen's residence at Windsor Castle" in England. 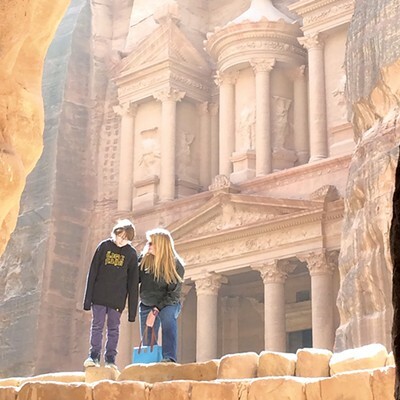 Parents who work for themselves can sometimes pull off an overseas adventure — with a lot of planning. 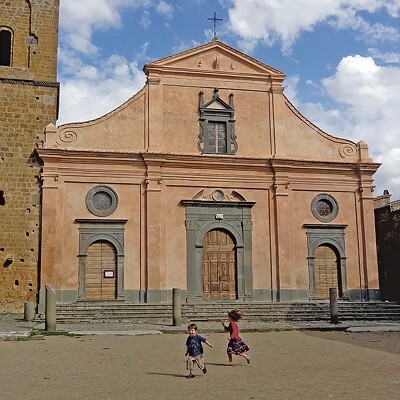 Katie and Lou Natale of Shelburne, who both had prior experience living overseas, took 5-year-old Tia and nearly 4-year-old Rowan to Bologna, Italy, in 2012-2013 for exploration and immersion. "We wanted to expose the kids to another language and culture while they are young," explains Katie. They planned and saved for the move several years in advance. Because Lou is self-employed, he was able to address business issues remotely and hand off some of his responsibilities to his business partner. When taking a new job overseas, there's always the chance that things won't work out as planned. Victor Prussack; his spouse, Lisa Kusel; and their 13-year-old daughter, Loy, live in Burlington, where Prussack is assistant director of curriculum and instruction and coordinator of K-8 registration for the Burlington School District. 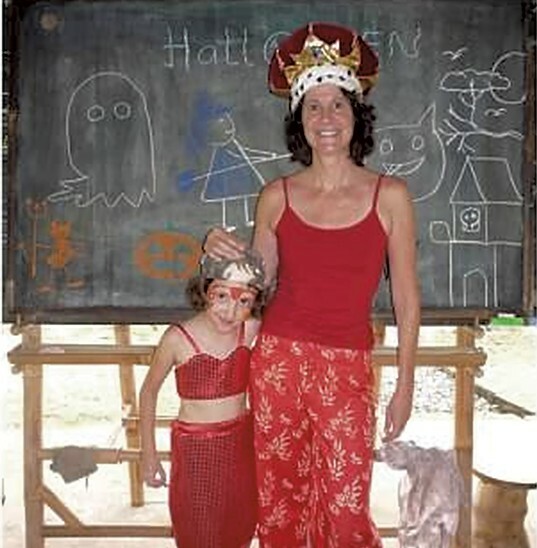 In 2008, the family of three relocated from northern California to Southeast Asia for an exciting new venture: Prussack had been hired to teach at "a brand-new, rural K-8, and soon-to-be K-12, international school" in Bali. Unfortunately, the leadership there "turned out to be so dysfunctional and ill-equipped to carry out both the mission and day-to-day runnings of the school," Prussack says. They returned home after four months, but Prussack says he met "remarkable people" and that the experience was valuable. All four families found responsible people to stay in their homes while they were away. Ana Ruesink hired a recent Saint Michael's College graduate to house-sit. The Natales rented out their former apartment in Burlington and camp in Milton during their absence. "That helped financially," Katie says, "but packing and storing all our things, and finding and preparing for tenants while gearing up for a year away, was challenging." One of the most important and difficult decisions our family had to make in Abu Dhabi was where to send David to school. The best ones had long waiting lists and cost up to $40,000 per year. We settled on the American International School because they had an opening and their tuition was on the lower end. But we didn't foresee the complications that came with the word "American" in the Gulf region. Initially, David was the recipient of some anti-American taunts on the playground, but he learned to "fight back" by walking away. He earned a special award from his principal for being nonconfrontational and even ended up making friends with the culprits. We received emails periodically from the American embassy about credible threats against American teachers and schools. Even the school bus avoided using the word "American" on its signage, presumably for the safety of its young passengers, though more than half of them weren't from the United States. 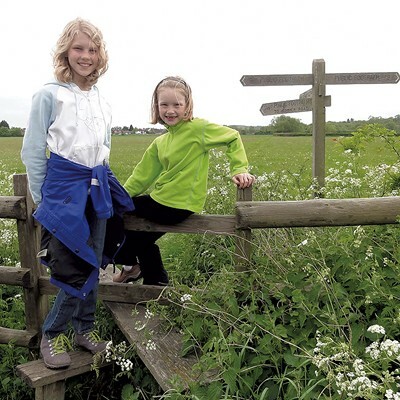 The Ruesink-Barker kids attended local neighborhood schools in Windsor "to truly experience life in another culture, not as expatriates or tourists but as local residents," their mother explains. The girls walked to their respective schools in uniforms through narrow English streets each day. 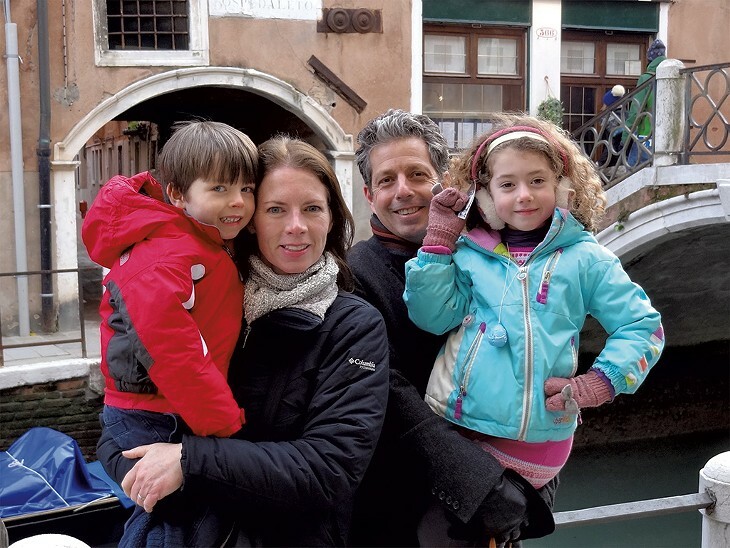 Katie and Lou Natale made the default choice to enroll their young kids, Tia and Rowan, in the only available small, private preschool in Bologna. Upon their arrival in June, Katie explains, all the most desirable Italian preschools were already full for September. It ended up being "more like a lame daycare," says Katie, "which was especially disappointing because the preschools in that region can be excellent." But it wasn't a total bust. "In the end, our kids learned to speak Italian with the help of the 10 other 3- to 6-year-olds," she says. 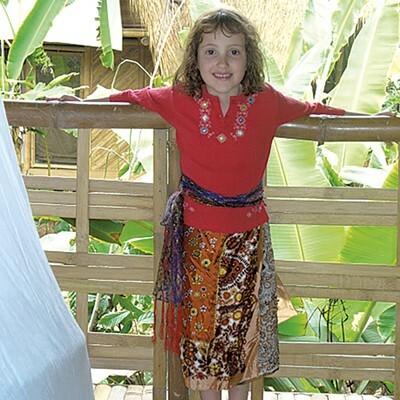 The school decision was easy for Victor Prussack, who was able to enroll Loy in the private school where he taught in rural Bali. Though disorienting on many levels, living in Abu Dhabi was remarkably navigable once we got the hang of it. Many people there speak English, and the Emirates were very welcoming. We soon learned that locals and expats live parallel existences for obvious cultural reasons. We wound up joining the British Club, which had members from around the world, and made a number of friends there. 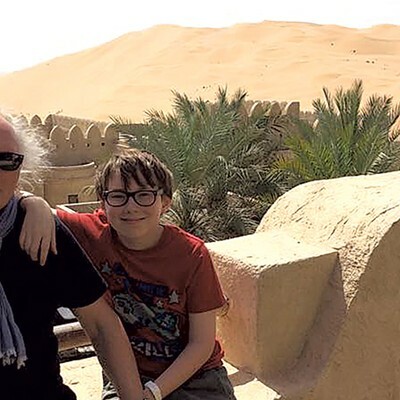 David and I both suffered a lot of intestinal troubles in Abu Dhabi, and all three of us wilted in the searing desert heat that sometimes reached 130 degrees Fahrenheit. Fortunately, we had access to excellent doctors and a plethora of swimming pools. The only time I felt in any real danger was while riding in a cab; the drivers were erratic, and everyone on the road goes much faster than the speed limit. 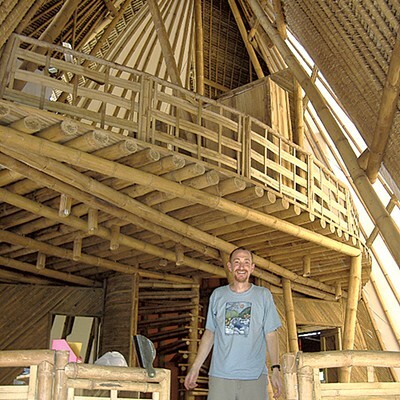 Prussack says his family had a love-hate relationship with their extraordinary living accommodations, a two-story, 1,600-square-foot bamboo house with 20- to 30-foot ceilings and a palm tree growing through the center. On one hand, their residence offered "the sounds of tropical birds, insects and geckos, beautiful Luna moths ... and the alluring aromas of the cooking of neighbors." But the open-air house afforded little to no privacy from passersby and zero sanctuary from dengue-fever-carrying mosquitos. Perhaps the biggest drawback, says Prussack, was the "weekly smoke and smell of burning bodies being cremated on funeral pyres a literal stone's throw from our house, which bordered a cemetery." Merry Old England offered the Ruesink-Barker clan great opportunities for cultural assimilation and across-the-pond connections. By the end, reports Ruesink, their daughter Tess "looked and talked like a British schoolgirl." The experience did come with a few stressful moments, including an incident when the girls hopped on a car in the London underground and the doors closed before their parents got on. "We caught up with them at the next station stop, but the trauma of that experience left my oldest daughter with lingering anxiety about trains and crowds," Ruesink explains. 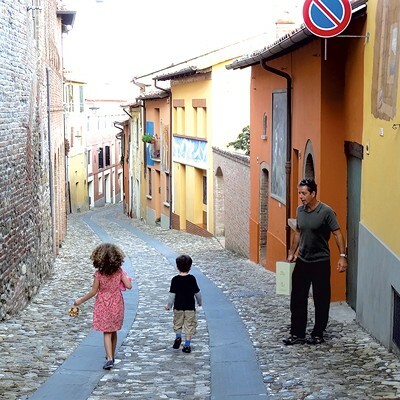 Bologna was molto bueno, or very good, says Katie Natale though learning the city and finding an apartment and a preschool — all with "nonexistent Italian and with two small kids in tow" — was stressful. The amount of paperwork involved, including visas, insurance and proof of bank-account balances, was all-consuming for a while. "There is a big difference in what you need for a European stay of less than 90 days as compared to a year," she says. "A regular highlight was seeing how kind and patient the Bolognese were with us and our limited Italian skills," she says, adding that frequent stops at gelaterias for Italian ice cream were essential. Living in Abu Dhabi was a real brain changer for us. 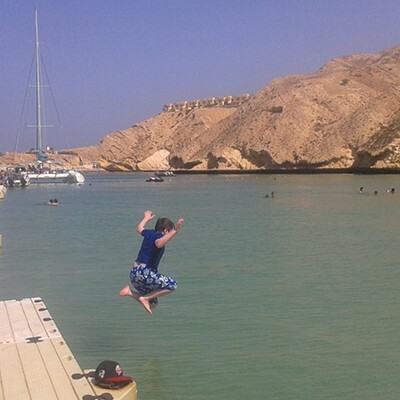 While there, we traveled to Oman, Egypt and Jordan despite regional conflicts — and found ourselves to be welcome visitors in places where tourism has dwindled since the Arab Spring. Part of that was because everywhere we went we did our best to be respectful of Islamic traditions. We refrained from public displays of affection, wearing "indecent" clothing like shorts and tank tops, and swearing or using Allah's name in vain. David learned to read the Arabic alphabet, even though he couldn't necessarily translate what the words meant. He developed a taste for spicy chicken shawarma grilled on a vertical spit, and dates, but flat-out rejected camel milk and meat. David also came to love, as I did, the sound of the muezzin calling Muslims to prayer time at the mosque. Most importantly, though, he learned that the United States is not the center of the universe. The time in Bali left Prussack and his family with visceral memories: striking up conversations with Balinese locals about their lives, history and culture; "eating a new food such as martabak [pan-fried bread] washed down with pulled tea"; "mapping the topography of the school's riverbed with students"; and "living with an international mix of brilliant, funny and passionate colleagues from five continents." The young Natale kids left Bologna with a better understanding of how to navigate the world. 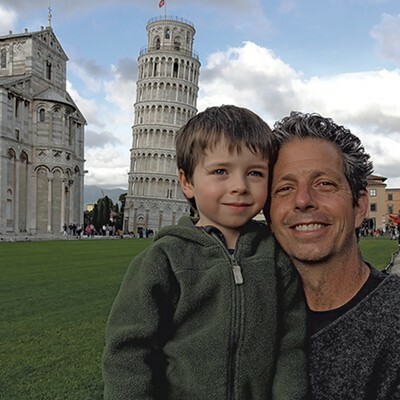 "In Italy, our kids saw that we didn't know what was going on half the time initially, but we asked a lot of questions and did the best we could," recounts their mother. "It was a positive thing for our kids to see that it is OK to not know all the answers, to make mistakes and to have to figure things out." Ana Ruesink says their trip to England also served as a journey to the very core of their family. "We all came to understand ourselves as a strong family unit and as citizens of an enormous and diverse world full of art, culture, history and natural beauty," she explains. "We also had challenges, but we overcame them. There's no better way to teach your children resiliency than that." Do your homework before you go. If possible, visit first. Even then, realize that so much will be unexpected. Be prepared. If you have young children, allow them to bring a few special things — dress-up clothes, toys and lots of books. Depending on where you are, children's books may not be available. Take a team approach. Before making the move, we agreed that it was a three-year commitment unless two out of three of us felt it was intolerable. It seemed unwise to allow one person's serious regrets be able to end it for all of us. Keep a blog. We authored a jointly written family blog throughout our time abroad. It was a great way to keep family and friends informed of our adventures, and it forced the girls to record some of their own thoughts, feelings and experiences. Back home in Vermont, we used the self-publishing platform Blurb to create a book based on the blog so the girls have a permanent hardcover record. Bring presents. Gifts from home were a great way for us to share a bit of our Vermont culture with our new friends overseas. We brought treats from Lake Champlain Chocolates and T-shirts from Champlain Elementary School. It's true: strangers bearing gifts are always more warmly received. Let your children lead you. Socially, our girls were magic — they made friends at school, on playgrounds and in the neighborhood, and suddenly we had friends, too. Culturally, our girls led the way as well. Many of our excursions were guided by their interests and delights, and we all benefited. From visiting the Roald Dahl Museum to seeing Billy Elliot in London's West End to watching the guards march at Windsor Castle to eating tea cakes at the Bodiam Castle tea shop, we found activities we all could enjoy. Get a "letter opener" at home. Find a dependable, competent person to open your mail and address any issues. We paid a trustworthy friend for this service and the peace of mind she provided cannot be overstated. Lean on each other. Be prepared to be entirely dependent on your family members. We didn't make any friends for at least three months; the lack of a safety net in the event of an emergency was a concern. Join an expat forum. The International Women's Forum's website provided helpful information (IWF branches are found in many places). I met people through that group, but taking language classes proved to be the best way for my husband and me to make friends and feel connected to the city. Send postcards from the edge. Make sure you have a Skype account before you go. Some places, like Abu Dhabi and Singapore, have restrictions on internet access and software platforms. When all else fails, or even if it doesn't, send old-fashioned postcards with the colorful stamps from your country.